I saw long waiting time reviews but didn’t believe. However I went for 10:00 appointment they called us at 11:30. Thisis really ridiculous. Treatment was good. She is the best! Very kind, will give you all the time you need to answer any of your questions andshe really cares about her patients. My 15 month old loves her! Would definitely recommend. Best of all, she keeps up to date with the latest certifications which is important to me. She is the best! Very kind, will give you all the time you need to answer any of your questions and she really cares about her patients. My 15 month oldloves her! Would definitely recommend. Best of all, she keeps up to date with the latest certifications which is important to me. Great place for travel vaccines! I liked the location, plenty on nearby parking, easy to find, friendly staff and speedy service. It was a good visit, Dr. Rhodes ran many test to rule out what could be the cause of my childs fever. The Doctor was very thorough in checking everything. Her support staff were friendly and helpful as well. I highly recommend Dr. Rhodes she truly cares for her patients. As usual, Dr. Rhodes is always kind, efficient and attentive. I visited this doctor to receive a Hepatitis A vaccine for travel, but I called the morning of the appointment to inform the office I had a fever as well and wanted that reviewed. An assistant took my temperature and reporteda slight 99.4 fever. This is the only treatment given to me for my reported symptoms of aches, fever, and an intense cough. The doctor came in and gave me travel advice, barely mentioning the fever. I reminded her of the fever temperature her assistant took, and then she relented and examined my ear and mouth. No medication was given for the fever and no diagnosis either. I am in much worse shape three days later and have to schedule an additional doctors appointment in order to find out what is wrong with me. I understand this is a childrens doctor facility, but turning away sick people without a reasonable diagnosis and charging me for an office visit to do so is upsetting. Will not be returning. She was very thorough with her examination, professional and sweet with our baby. She knew what she was doing and reassured us that we were doing everything right as new parents. She took the time to answer all the questions wehad in regards to parenting to put our anxious minds at ease. We would definitely recommend Dr. Jolan Rhodes. My first visit was great. Everyone was friendly and kind and the wait time was less than 30 min. I went again today and was seen right away. It was great. I've been going to Dr Rhodes for21 years I love Dr Rhodes and her staff!!???????????? She is just prefect we love her , great doctor . I am super grateful to have such a professional nice pediatrician in mt neighborhood. I was trying to schedule an appointment with another doctor over the phone but was asked to call back twice. Feeling not taken cared of I researchedpediatricians in my network and came across her. 5 Stars! 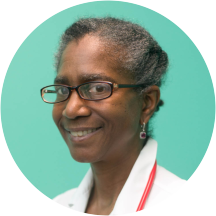 Dr. Rhodes is one of the best pediatricians in this area. She's always professional and caring. Her staff is super friendly and they always go above and beyond to assist me and my daughter. Always please when I take my kids to see Dr Rhodes. Her staff and herself very knowledgeable and curtious. She has been the best. Very professional. Very caring. Like a caring mother. I went to Dr. Rhodes from when I was born til 12 years old. My mom and I absolutely adored her. Now that I have had my own child recently, she's still the same attentive and caring doctor I knew of her to be when I was younger. She was very good at listening and interacting with our child. She also didn't shame or otherwise make us feel bad for our choices to delay vaccination and helped us come up with a staggered schedule to get ready for school. Dr. Rhodes is very caring and thoughtful. She solves problems and follows up great. Her staff is always professional and kind. I love taking my kids to Dr Rhodes. Staffs are courteous and the Doctors are very knowledgeable. She is best and was great and understanding!! Dr. Rhodes is amazing with my girls. No, matter when we go she always answer any questions I have even if it is not related to the visit. I highly recommend her to anyone.